Management Team - Cleobrothers & Company, Inc.
Mr. Nweze is a management executive with expertise in organizational competitiveness, strategic marketing, and business development. Mr. Nweze is the founder and CEO of Cleobrothers & Co., Inc, a holding company for Cleobrothers Bio-Medical Systems (CBM Systems), Cleobrothers Energy & Environmental Systems (CEE Systems) and Cleobrothers Management Consulting Group (CMC Group). Cleobrothers & Co. is currently focusing its business activities on Healthcare and Energy infrastructure development in the Emerging Markets through CBM and CEE Systems. Current countries of interest include USA, Canada, Nigeria, Brazil, Mexico, Ghana, Angola and South Africa and Gulf Cooperation Council (GCC) States – Kuwait, Qatar, Oman, Jordan and Dubai/Abu Dhabi (UAE). CBM Systems’ mission is to leverage biotechnology and medical diagnostic technologies to create healthcare access for our customers around the world, including the emerging markets. At CEE Systems, our strategic intent is to lead energy infrastructure development in the emerging economies, and to change the lives of hundreds of millions of our Customers around the globe. Prior to founding Cleobrothers & Co., Inc, Mr. Nweze held Director of Marketing positions at King Pharmaceuticals, Inc and Prometheus Laboratories, Inc. During his tenure at King Pharmaceuticals, Mr. Nweze was the principal leadership force for the creation of a new Hospital Business Unit ($250 million in revenues in two years) and led the commercial revitalization of a portfolio of brands that propelled the new Business Unit to industry leading contender. 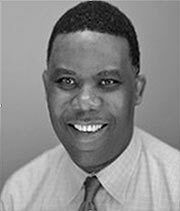 Mr. Nweze’s career began at Merck & Co., Inc where he held positions of increasing responsibility from Hospital Sales Specialist to Managed Care, vaccines and Marketing Management. Mr. Nweze holds a MBA in International Management and Marketing from Weatherhead School of Management, Case Western Reserve University, a BA in Economics from Cleveland State University, and a BS in Biochemistry from The Ohio State University. Dr. Eugene Livshits, Ph.D., has more than 25 years of experience in building-up pharmaceutical companies. Dr. Livshits also has more than 20 years of US FDA and Regulatory expertise. As an innovative, results-oriented Leader, he built and developed and led Analytical Services and Product Development for many US Pharmaceutical laboratories. His experience and expertise span Manufacturing and Quality Assurance departments for numerous pharmaceutical companies. Pal-Pak, Inc., a Pennsylvania pharmaceutical company. Glenwood-Palisades, Inc., New Jersey generic pharmaceutical company. Lannett Company, Inc. Pennsylvania generic pharmaceutical company. Lehigh Valley Technologies, Inc., Pennsylvania pharmaceutical company. TRI-MED Laboratories, Inc., New Jersey pharmaceutical company. Axcentria Pharmaceuticals, Pennsylvania generic pharmaceutical company. davAgen Pharmaceutical, LLC, New Jersey pharmaceutical company. Eugene is fluent in a number of different languages and as a result has led multicultural teams, facilitating completion of projects on schedule. Dr. Livshits holds a B.S. in Chemical Technology, an M.S. in Chemical Technology and Analytical and Inorganic Chemistry, and a Ph.D. in Analytical Chemistry and Electrochemistry. Dr. Livshits has had more than twenty journal articles published and has made numerous presentations at international conferences. VINCE SPINNATO, Managing Director & Chief Cosmetic Chemist, Cleobrothers & Co., Inc. Cosmetics Division. 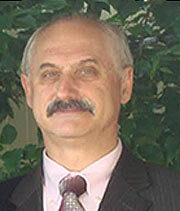 Vince Spinnato is a renowned cosmetic chemist. Mr. Spinnato is the creator of some of the world’s most recognizable global brands in the personal skin care industry. Vince has worked with Chanel, Estee Lauder, Oil O’Lay, Christophe, Jessica Simpson, J. Lo, Michael Jordan, The Limited; (Victoria Secret, Bath & Body Works), P&G and J&J to name a few. Mr. Spinnato is the founder & CEO of VS Vincenzo Inc, Ltd and the creator of the VINCENZO & AEGEAN SKINCARE product lines. Vince began his career in the Personal Care, Cosmetics, and Fine Fragrance industries over 15 years ago. After studying both Cosmetic Chemistry and International Business, Spinnato completed a two-year apprenticeship. During this apprenticeship he helped create new formulations, encapsulated delivery systems, and custom packaging, while enjoying considerable success refining and developing new raw materials for treatment and cosmetics though his suppliers. Over the next 15 years, Spinnato went on to consult and help develop new product lines and private label for numerous cosmetics, treatment and health care companies such as Chanel, Estee Lauder; (Aveda, Clinique, MAC), Limited; (Victoria Secret, Bath & Body Works), Gap/Banana Republic, P&G, J&J, L’Oréal, Whole Foods, Trader Joes, K-Mart, and many others. He also worked on developing products for celebrities including Jennifer Lopez, Ole Henriksen, Jessica Simpson, Michael Jordan, Lilian Garcia, Kiyah Wright, among others. Spinnato’s vigilance to ingredients and their corresponding results has been the primary reason for his success. Mr. Samuel Nweze is a seasoned Manager and experienced Diplomat. Mr. Nweze’s expertise is international affairs including the Middle East and Scandinavian Countries. Mr. Nweze served in Sweden as Consular Secretary of the Embassy of the Federal Republic of Nigeria. Before his posting to Sweden at the Embassy of the Federal Republic of Nigeria, Mr. Nweze was the Senior Administrative Officer (SAO) for the former Anambra State Government, Nigeria, and later Enugu State Government, Nigeria. Mr. Nweze rose and served as the State Chief Protocol Officer for two State Governors in Enugu State, a position he held until he moved to Sweden in 1995 where he worked with Nigeria’s Foreign Mission to the Scandinavia. He holds a Masters degree from North Park University, Chicago, Illinois, USA, and is currently a Deputy Director with a Stockholm-based humanitarian organization.